UDAEF Supports Students! Our goal is to have a positive impact on every child in the District through the programs we support! 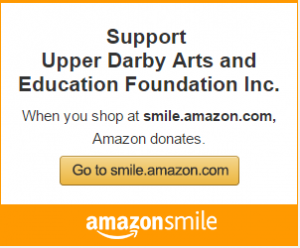 Interested in making a donation to the Upper Darby Arts & Education Foundation? Your gift will support our mission to enhance and support educational opportunities in Upper Darby. Please feel free to contact us at 610.394.1580, or send us an email if you have questions or comments.There are numerous ways to support arts and education in Upper Darby through the Upper Darby Arts & Education Foundation (UDAEF). Contributions of any amount are always welcome. The Foundation is a 501(c)(3) nonprofit organization. Gifts may be made through the United Way (code number 4778), and Upper Darby School District employees may elect to contribute $1 or more per pay period through an automatic payroll deduction. Are you interested in growing your gifts to UDAEF—doubling, perhaps even tripling them? Corporate matching gift programs offer an easy way to do this. Many companies will match their employees’ gifts. This annual program involves no cost for employees, and UDAEF can benefit! Please check with your HR department to find out whether your company is a matching gift sponsor. Get a copy of your matching gift form from your company’s HR department and mail it to UDAEF with your gift (or, if your gift is made online, simply mail in the form). UDAEF will verify your gift and return the matching gift form directly to your company’s designated matching partner. UDAEF then will receive a check from your employer matching your gift. Already given? Most matching companies will honor gifts given within the current calendar year. Please contact us if you have any questions or need assistance. Thank you for considering this simple and effective way to support UDAEF! Upper Darby Arts & Education Foundation, Inc.
Non-monetary donations are always welcome! Often items such as tickets to professional athletic events and other items that can be raffled off later are donated, and this is a huge help to the cause. Also, musical instruments in working condition are always welcome, as they can be used as loaner instruments for elementary students who otherwise could not afford to be involved in instrumental music.